I am an alumnus of the Aga Khan University (AKU) and currently associated with the University of Central Asia (UCA) as a Resource Person for Nursing Education. I completed my Master of Science (MSc) in Nursing in 2010, Bachelor of Science (BSc) in Nursing in 2003, Bachelor of Arts in 1999, and Diploma in Nursing (RN) in 1998. I am a Licensed Registered Nurse with the Pakistan Nursing Council and a member of the Sigma Theta Tau International, Inc. – Rho Delta Chapter. 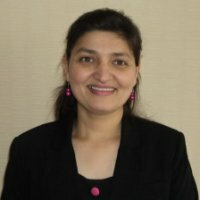 I have worked in different capacities in clinical settings at the Aga Khan University Hospital, as a Faculty member at the AKU – School of Nursing and Midwifery (SONAM) and as a Resource Person for Nursing Education at UCA. My experience spans from nursing practice, leadership, education, curriculum and research (through AKU and the Aga Khan University Hospital) to policy review and reforms (through UCA) covering a broad spectrum around Nursing education, profession and practice in the developing world, particularly, Pakistan, Tajikistan, Kyrgyzstan and Kazakhstan. I have first-hand experience with nursing practice, leadership and research, particularly in general medicine, critical care and oncology; nursing education and curriculum including clinical teaching for the Diploma and Baccalaureate programmes; situational analysis of nursing education, profession and practice in Bishkek, Kyrgyzstan; and the assessment of health services in Central Asia. I actively participated in a number of scholarly, research and literary activities as well as continuing education programmes of the Nursing Education Services of the Aga Khan University Hospital and AKU-SONAM. My scholarly work and professional activities also include research and publications including in international peer reviewed journals, public lectures and presentations, and participation in a number of workshops, seminars and symposiums. I have also provided peer reviews for a number of articles in the international nursing journals.